Online shopping is easy, fast and fun - but with so much simple shopping at your fingertips, it's important to remember to be safe and secure when shopping. Online shopping security isn't anything too complicated. It's merely common-sense attention to small details that protect your personal information and assets. Once you learn the basics of secure online shopping you'll be able to buy online with confidence. When you enter into an online transaction, you hand invaluable personal and financial details to the vendor -- and anyone who cares to and knows how to electronically eavesdrop. Thus it is essential to make sure you're protected. Here are some tips for secure online shopping. 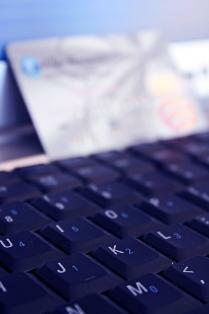 Using your credit card or debit card for online shopping has several benefits. Not only will your transaction be easily viewed using your credit card company's electronic or paper statement, but it will be protected under the Fair Credit Billing Act, which gives you the right to dispute unauthorized charges. If you suspect your identity is being used to make an unauthorized transaction, most credit card companies will reimburse you for charges made by an identity thief or even give you additional benefits like warranty and return guarantees. Noname.com may have the lowest prices, but do you really trust them with your precious personal and financial information? It makes sense to use a store you know and trust for secure online shopping. If an online store's website has a poor layout or incomplete information, think twice about shopping there. You should be able to read about return policies and find complete contact information for the company on its website. When in doubt, try a store you already trust. When transmitting credit card and shipping information online, make sure the online store you use has security features such as SSL (secure socket layer), which encrypts your purchase information and protects you from hackers and thieves. Make sure to print out the confirmation record for your online purchases. You should have a copy of any information an online store gives you for future reference - this may include a reference number and routing/tracking numbers for shipments. It's your identity - and it's your responsibility to protect it through secure online shoping. Make sure your password is unique and that nobody else knows it. Don't use an e-mail address that spells out your whole name, and consider shipping to a P.O. box to protect your privacy. Unfortunately, many online stores use your contact e-mail address - and even your billing or home address - as targets for unwanted mailing campaigns. Some may even sell your contact information to an outside vendor who puts you on their mass mailing list! Avoid this pesky plague by making sure to click the "do not contact me with future offers" box that's usually included near an online transaction. If you suspect a company has added you to their mailing list, ask to be removed. Think of installing a spam filter to prevent unwanted e-mails. Your online transactions are governed by the law - know who to call if you feel you've been scammed while online shopping. If you're shopping in the United States, the Federal Trade Commission (FTC) handles consumer complaints and distributes valuable and up-to-date information on consumer protection. Call 1-877-FTC-HELP to enter a complaint about identity theft or Internet fraud.